Dear friends, we are the developers of two robots. - Night version for trading on the asian market. - Daily version, for trading in the trend. We want to make our products better, so we give you a free version of a night robot, so that you can give us development proposals. Of course, we have to introduce some restrictions into it. It is intended for a pair of EURCHF. !Before using, make sure that you correctly set the ManualTimeOffsetGMT for your broker. Please use a pair of EURCHF, on the M5. The default settings are suitable for most users. The free version contains all the settings inside, but you can optimize each parameter for yourself. The paid version loads the newest settings from our server. • FixedLots - fixed size of the opened lot. !Not available in demo. • RiskPercent - percentage size of the lot depending on the equity (5-8% is recommended, if you want to quickly increase the deposit, you can set 10-15%, but remember that the drawdowns and the risk of loss increase accordingly). !Not available in demo. • HedginigAllow - If your broker requires NFA, and does not allow additional positions in one direction, set a false. 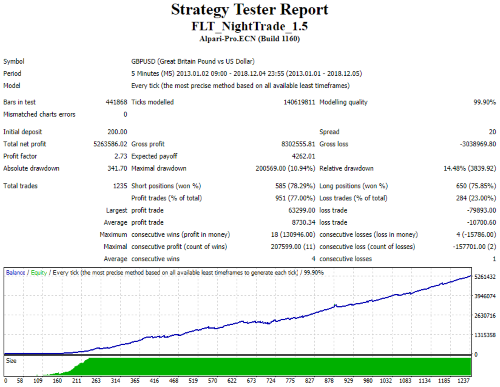 • TradingType - For you, we have prepared several different presets that differ in their profitability and risks. You can choose for yourself the most comfortable. You can also use several at once, dividing the risks between several presets. • Range_Filter – coefficient of the volatility filter affects the total number of transactions. • Max_Orders – number of simultaneous open transactions in one. 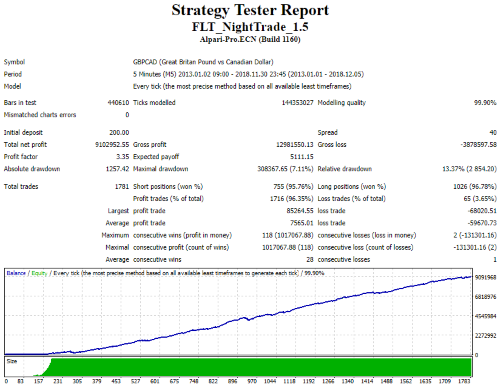 • TakeProfit - manual setting of TakeProfit. When 0 is considered automatically, depending on the conditions and the current volatility. • StopLoss - manual setting of StopLoss. When 0 is considered automatically, depending on the conditions and the current volatility. • Open_Period – number of bars to calculate the range of price movement. • Entry_Filter – number of points for indenting the range. • ManualTimeOffsetGMT - manual setting of your broker's time zone. • Skip_Day - If more than 0, then skip (do not trade) a specific day of the week. (0-Off, 1-Mon, 2-Tue, 3-Wed, 4-Thu, 5-Fri). in the first post I attached the robot, probably deleted. I add once again.